I’ve always loved history. I remember how, during school, other students would complain about how boring and dry it was, and (to be fair!) most of the history textbooks that we used consisted mostly of long paragraphs with long lists of names and dates. I would slog through those textbooks along with my classmates,of course, but I had a secret weapon that my young peers did not have—a resource that totally transformed the stark retelling of events into vibrant, interesting narratives that piqued my curiosity and fed my imagination: my father. What I learned from him totally transformed my view of history and made me love it to this day. He taught me that history isn’t a timeline of names, places, and events, like my teachers taught it. He showed me, instead, that history is a story. When I would come home from school with the dates and the names of the major players of an historical event I had to memorize, my father would fill in the details with tales of exciting battles, spies, adventures, and sometimes even legend. I would be riveted as he painted a picture with his words. Now that I am a homeschool mom, I want to make history come alive for my boys the way that my father did for me. Instead of dry, boring textbooks, I have been strategically collecting history books that are dynamic and engaging--books that teach history the way I believe it should be taught—as a story. 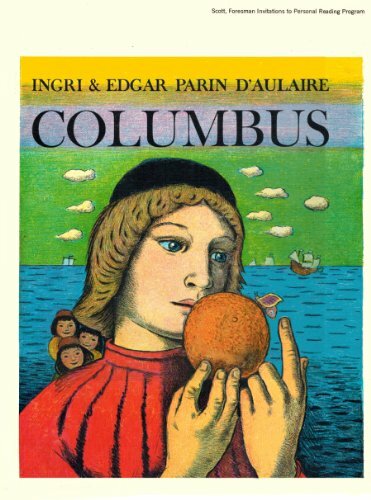 And some of my absolute favorite resources for these types of living history books are the books by Edgar and Ingri d’Aulaire. 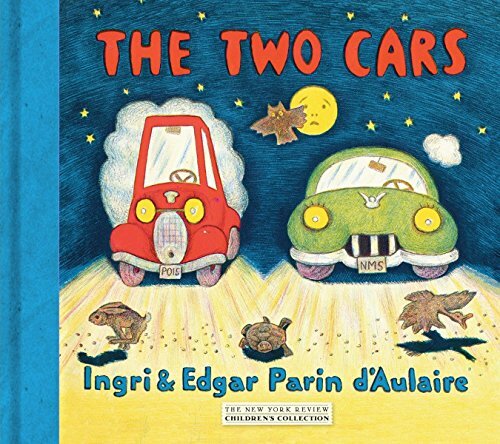 Edgar Parin d’Aulaire and his wife, Ingri, were immigrant author-illustrators of children’s picture books in early twentieth century America. Their canon spans over forty years and their work is just as beloved today as it was when it was first published. But their cross-national background and the way they displayed their love for their new country is just as fascinating as their wonderful books. The couple married in 1925 and, for a time, worked hard to keep their artistic pursuits separate. Ingri’s work consisted mostly of painting portraits, while Edgar continued illustrating books, primarily using wood block engravings or stone lithography. After a near-fatal bus accident, a small insurance settlement allowed Edgar to sail to America to pursue new opportunities. He was then able to save enough money through various commissions and book illustrations to allow Ingri to join him. They settled in Brooklyn, NY in 1929. Edgar commented on his decision to emigrate, “We didn’t seek shelter here because we had to flee from what till then had been ours, but because this enormous continent with all its possibilities and grandeur appealed to us and caught our imagination.” And it was there, in America, that their imaginations, alive with possibilities, began to fuel an entirely different kind of work. 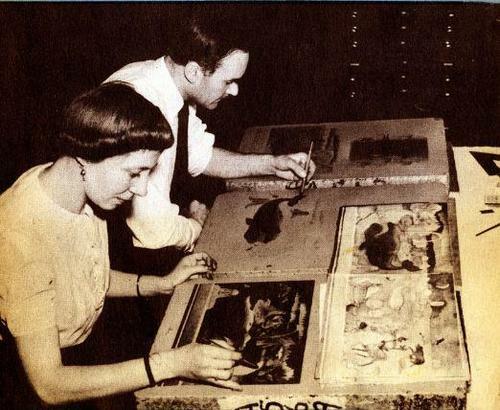 At first, they pursued art in America the same way they had in Europe--Ingri painting portraits and Edgar illustrating books. However, everything changed one evening at a modest dinner party at the d’Aulaire’s home. Anne Carroll Moore, the head librarian of the New York Public Library’s juvenile department, attended the dinner, and there she planted the seed of an idea: an art picture book, written and illustrated as a collaborative effort between husband and wife. In 1931, their first effort came to fruition with the publication of their first children’s book, The Magic Rug. After that, books came in rapid succession. Their first works were steeped in Scandinavian folklore, reminiscent of Ingri’s Norwegian childhood. Although they used their travel experiences as inspiration, the landscapes that they illustrated weren’t realistic representations of the Norwegian scenery. Instead, they were almost mythical and fantastical representations of the countryside, as if one was seeing it in a child-like dream. 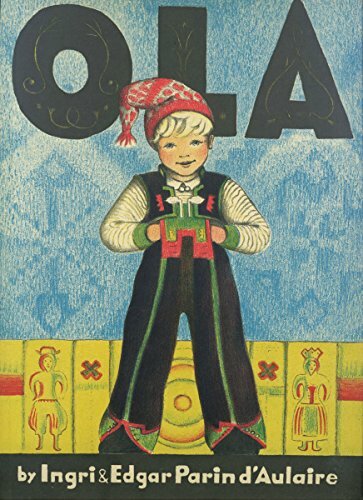 Ola, Ola and the Blakken and Line, Sine, Trine, and Children of the Northlights, all displayed Ingri’s love of painting children’s faces, as well as Edgar’s portrayal of landscapes with vivid colors that depicted light, motion, and drama, giving the eye little place to rest. At first they used stone lithography for their illustrations, as Edgar had done in Europe. But four slaps of Bavarian limestone, weighing in at 200 pounds each, were required to produce a single four color illustration. Although the technique produced an unusual folk-art quality to the work, the process was too burdensome and expensive to continue. In the 1960’s, they abandoned the lithograph for the ease and availability of acetate sheets. Inspired by their love for their adopted country, in 1936 they turned their attention to its histories, myths, and legends with the publication of their first American biography: George Washington. They followed with biographies of other famous Americans, including Abraham Lincoln (1939), Pocohontas (1946), Benjamin Franklin (1950), Buffalo Bill (1952), and Columbus (1955). These books are some of my personal favorites. Oversized and full of vibrant full-color and black and white illustrations, the pages capture in detail the intricate artwork originally produced on those giant lithograph stones. The images are a cross between realistic renderings and stereotypical caricatures, whose end result is utterly charming. The effect has a somewhat primitive, folk-art feel, which matches the text perfectly. The text, written in narrative form, is utterly delightful. The d’Aulaires capture not only the major milestones of each person’s life, but also the legends that outlived them and helped make them into famous people that we study today. The historical figures come alive as the reader learns about the famous events that shaped them, and lesser-known biographical details. The d’Aulaires tell the stories of these famous people from American history, including all of the colorful folklore that has been passed down for generations. Rigid historians may take issue with some of the details portrayed in these books. 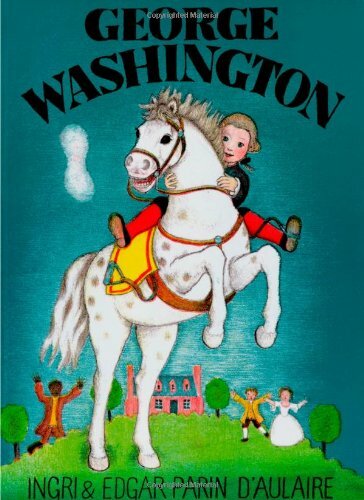 (For example, although Washington does not chop down the cherry tree, they do paint an idyllic picture of his childhood and emphasize how he learned not to tell a lie.) 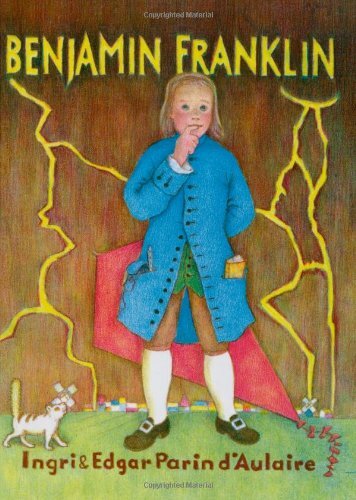 Facts and myths are interwoven to provide a charming, culturally relevant introduction to these famous figures from American history to young readers. 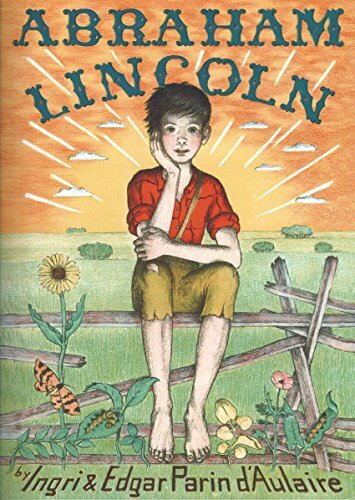 The books focus a lot on the childhoods and formative years of the subjects, making them especially engaging for early to middle elementary aged students, as they walk in the little shoes of these eventual giants of history. Questionable, upsetting, or disreputable details of each person’s life are omitted. Abraham Lincoln’s assassination and Ben Franklin’s indiscretions are not covered, for example. Slavery is mentioned as a matter-of-fact without any explanation, and the treatment of Native Americans is typical of a 1950’s “cowboys vs Indians” narrative. 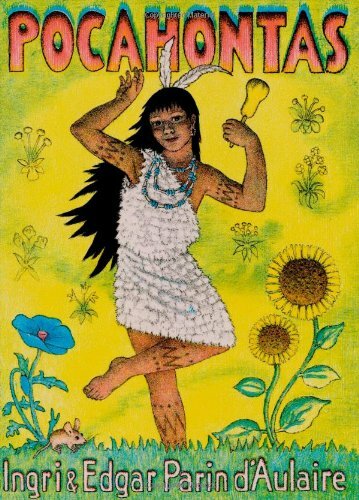 In other words, these are traditional American stories that spark the imaginations of children while protecting and maintaining their innocence. While they were busy writing and illustrating children’s books, they were also busy settling into a new life in America. 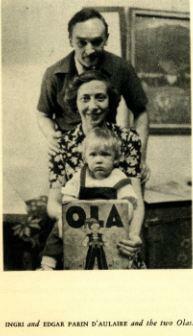 In 1939 their son, Ola, was born and Edgar became a naturalized citizen. They moved their family from Brooklyn to a farm in Wilton, Connecticut where they remained until their deaths. They made it their practice to travel to various locations throughout America to do research for their biographies, camping in locations that had been associated with the famous figures and using the landcape as inspiration for their art. 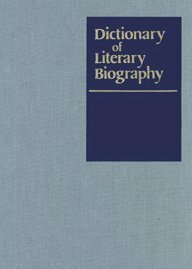 The D’Aulaires did not limit their mid-century work to American biographies, however. 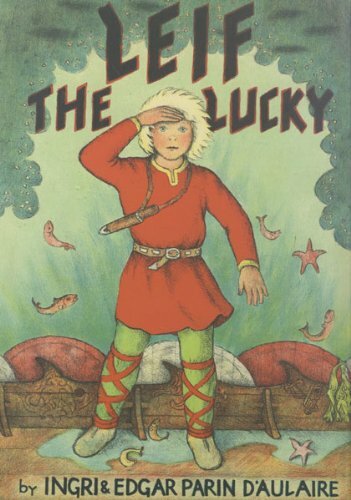 They did return to Ingri’s Scandinavian roots with the publication of Leif the Lucky and children’s stories like The Two Cars. Their work was not only beloved by children and parents, but also critically acclaimed. 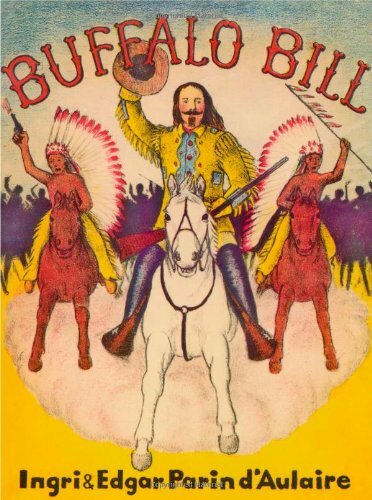 In 1940, they won the third annual Caldecott Medal for Abraham Lincoln, and in 1953 received a Boy’s Club award for Buffalo Bill. 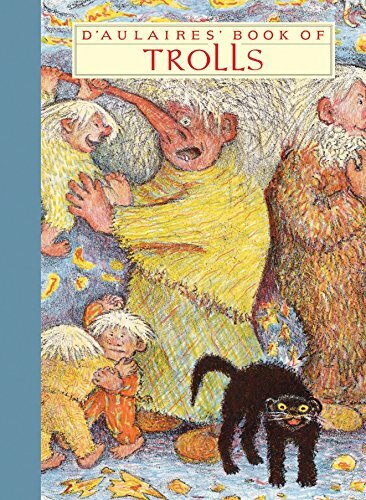 In 1970, they were honored with the Catholic Library Association's Regina Medal for “continued distinguished contribution to children’s literature.” Their 1972 book Trolls was one of The New York Times Book Review’s Outstanding Books of 1972 and a National Book Award Finalist. As the years progressed, their production slowed and they turned their attention to compilations of traditional stories and myths. 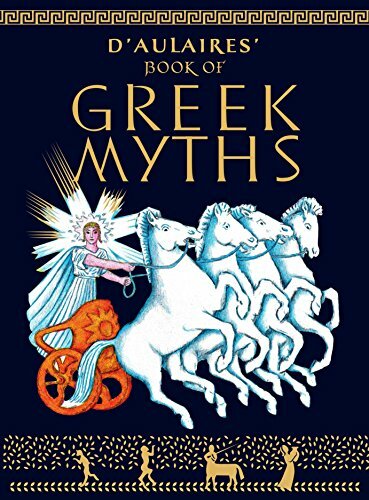 Their first of this kind, Book of Greek Myths, was published in 1962, followed by Norse Gods and Giants (1967) and Trolls (1972). For the first time, these books focused not only on story, but had a strong commitment to scholarly accuracy, as well, including an explanatory index of names and terms. In 1980, they were working on a new book when Ingri died at the age of seventy-five. Edgar continued to pursue his art until his death in 1985. The D’Aulaires were instrumental in establishing the picture book as an art form, an effort that was championed by Association for Library Services to Children (who award the Caldecott Medals), as well as art lovers and those devoted to children’s literacy everywhere. 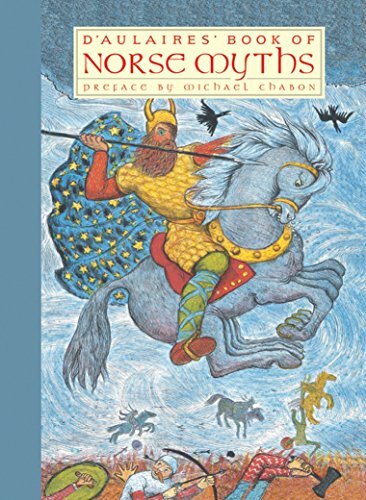 Their works are the epitome of an excellent children’s book--beautiful to behold, idealistic, innocent, and full of captivating stories. There is very little biographical reading published on the D'Aulaires and their work. There is a brief biographical sketch in the back of the most recent publication of the Book of Greek Myths, as well as the last flyleaf in The Two Cars. However, I found most of the content for this article in The Dictionary of Literary Biography, Volume 22: American Writers for Children, 1900-1960. The Wikipedia article on the D'Aulaires has a fair amount of information on the couple, and I received generous help from the people who run the Facebook page entitled "The d'Aulaires' Children's Books."